Spring is coming, so I thought a convertible would be appropriate this month. This sharp 1962 Lark Convertible belongs to Larry and Pat Merhaut of Martinsburg, West Virginia. The pictures were taken at a car show in Northern Virginia in 1998. The Merhaut's Lark is a Regal model with bench seats and less ornate side moldings than on Daytonas. Lark Convertibles were available with the "Skybolt" six cylinder engine, but most were equipped with V8 engines. Daytona models, which had bucket seats, could be ordered with the 225 horsepower 289 cubic inch V8 and four speed transmission used in the GT Hawk. 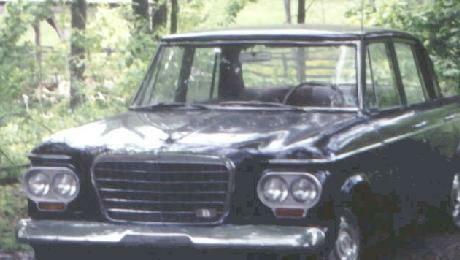 Studebaker only produced 2,681 Lark Covertibles in 1962, so this is a relatively rare car. This mild custom 1957 Studebaker Transtar Pickup belongs to Will and Wanda Housley. The front grill has been modified and modern wheels and tires have been installed. The chrome side exhaust system is obviously nonstandard. Otherwise, this fine truck looks mostly stock. Studebaker seems to have gone back and forth between using color photography and color art in its dealer brochures. While the 1961 and 1963 brochures used photography, the 1962 brochure used art as in the example above. This picture from the 1962 Lark brochure shows a Daytona Hardtop with the "Skytop" sunroof option. 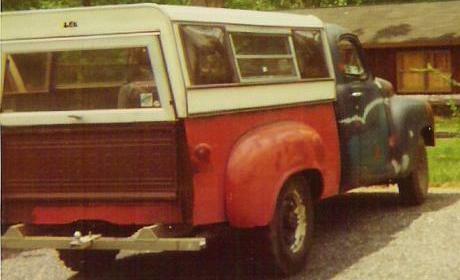 Skytops were available on Lark sedans and hardtops from 1961 to 1963. The only Lark I am personally familiar with that had a Skytop was a 1961 Cruiser that was owned by a gentleman in New Jersey. The people in brochure art always seem happy, as in this picture of a 1962 Lark Convertible from the same brochure. Studebaker brochures are often available on eBay for reasonable prices. James Torsey sent in this picture of his 1963 Studebaker Lark Regal Sedan. James has named his car "Leakin Lena" although I can't imagine why. A Studebaker that leaks? The 1963 Lark front grill was similiar to 1962 but was divided into more sections. The major change to the Lark line for 1963 was a revised roofline and a restyled interior. 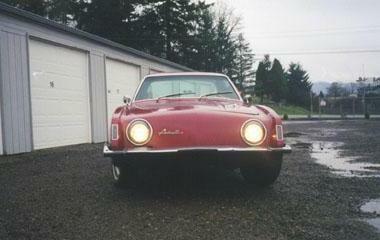 Kim Miller of Kirkland, Washington sent in this picture of a 1963 Avanti Coupe. Kim's Avanti is equipped with the R2 supercharged engine and four speed manual transmission. This car has electric windows and a fawn interior. It was built in August 1962 so it is a relatively early car. One thing about the Avanti is that you could order a supercharged engine or air conditioning, but not both. I have always thought that the Avanti looks particularly good in red. I think "work in progress" is an appropriate description for this C Cab truck. The pickup box appears to be from one truck and the cab appears to be from another. The primed tailgate looks new and the camper top is a nice fit. This picture was taken some time back, and I don't know who owns this truck or what became of it. This just seemed to be an appropriate Stude toy for this month. It was manufactured by Jo-Han. I acquired this dealer promomotional 1962 Lark many years ago. This model was also available in kit form. The color is reasonably close to the Merhaut's Lark. Promos typically did not attempt to duplicate factory colors. As with the Merhaut's car, this is a Regal model with bench seats. The interior is reasonably accurate. To see more toy Studes, visit my Studebaker Toys Home Page.